Hello dear friends. 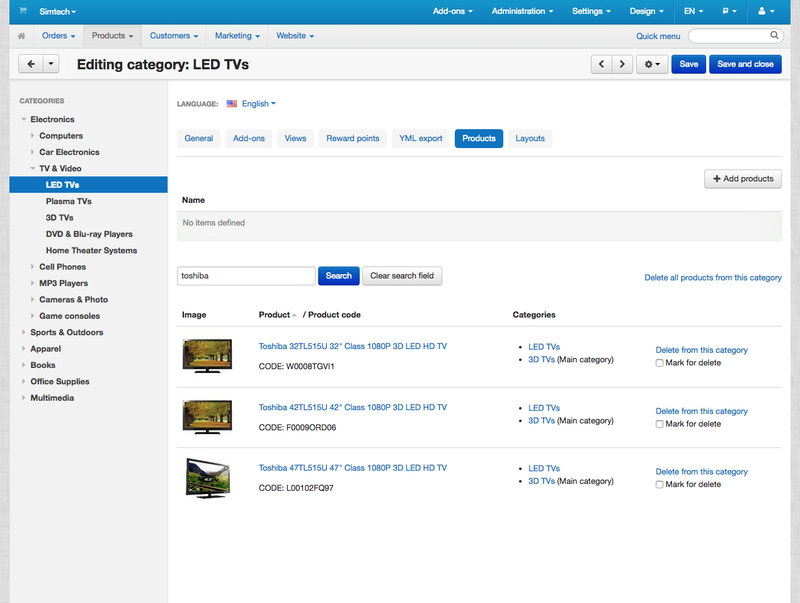 We are glad to announce our new CS-Cart Module "Category Products Editor". 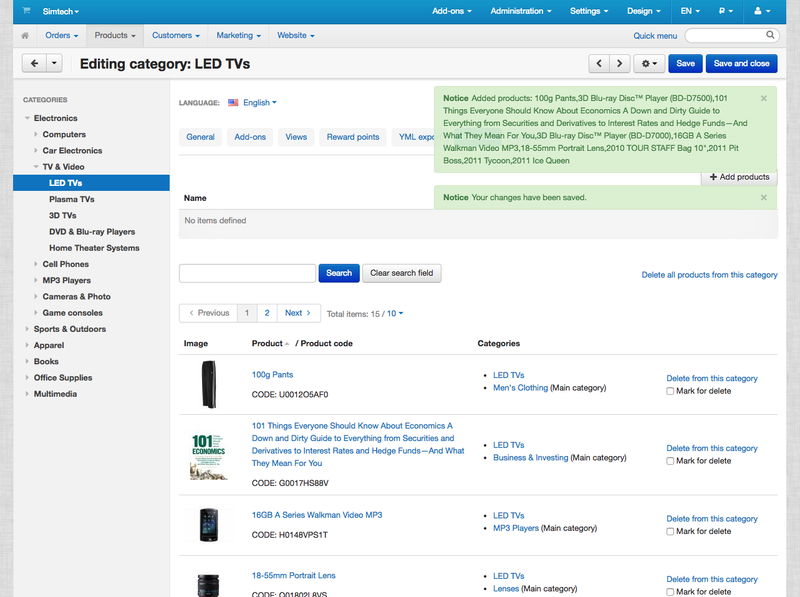 It allows you to easily edit the product category directly from the category page. - fastest editing products on the category page. - convenient functionality for adding and removing products. - search by products category on the new tab "Products". - mass deletion of items from the category. - implemented pagination for easy viewing of products in the category.